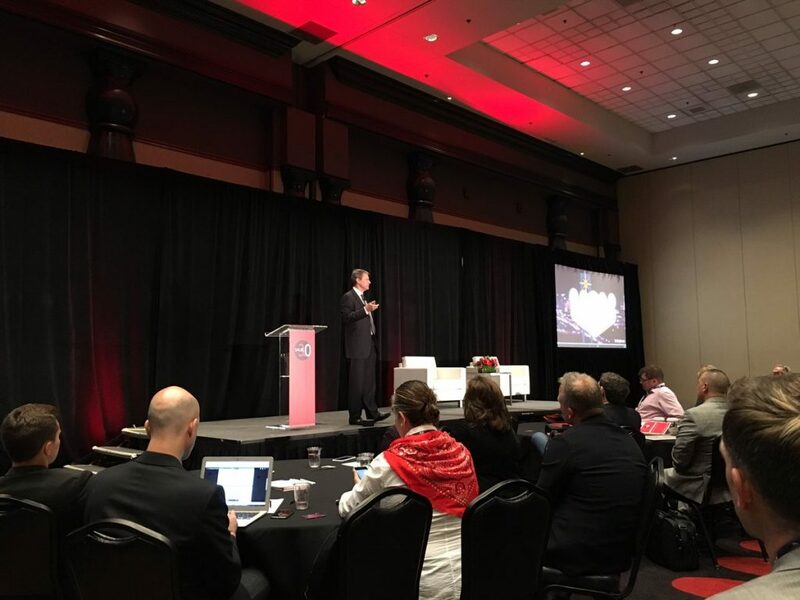 What did we learn from the Monday morning keynote presentations at the Sales 3.0 Conference? If you’re not making major moves to adapt to the digital era of selling, your sales organization is in danger of becoming extinct in the next five to 10 years. Three of this morning’s keynote speakers shared how sales leaders can make sure their sales organizations survive and thrive. Here are three key insights to consider. Insight #1: It’s time for sales managers to cut headcount while dramatically increasing revenue. One fact sales leaders must confront is that Sales 3.0-era technologies are shrinking the size of sales forces, while also increasing your capacity to generate revenue. What does this tell us? Companies are leveraging technology tools to pull in more revenue, while also decreasing headcount. Gschwandtner predicts about three million sales jobs will disappear in the next 10 years as companies continue to adopt new technologies (for example, automation, AI, and cognitive computing) to accomplish simple and routine tasks currently being performed by humans. Gschwandtner’s advice for sales leaders? The survival imperative is for sales managers to increase sales by 200% and cut headcount by at least 20% over the next five years. If you’re not doing those two things, you’ll have a tough time staying in business. According to Gschwandtner, very few sales executives believe that digital transformation is a matter of survival, and only 7% of companies surveyed by Capgemini’s Digital Transformation Institute feel that their organization can test new ideas and deploy them quickly. As Gschwandtner said, we need to face the reality that the world is changing as we speak. We don’t want to be disrupted. We want to own the disruption. Insight #2: It’s time to enable your sales team in a new way. Buccholz said it is not enough for sales leaders to reduce headcount by 20% (as Gschwandtner advised). It’s critical that sales leaders take steps now to enable their sales forces in a different way. As she said, sales is a “business-to-individual” endeavor. Your salespeople are selling to humans, and you need to make sure reps have the right information or data to make that interaction — whether virtual or in person — as productive as possible. How are you currently harnessing the power of structured and instructed data to improve your customer experience? What are you doing to get started on incorporating cognitive computing in your organization? Insight #3: It’s time to train your sales team in ways they find engaging. David Bauders, Founder and CEO of SPA, agreed that simple sales jobs (including routine transactions and informational transactions) will be taken over by technology. This makes it imperative for sales leaders to invest in sales training programs that will actually engage sales reps and help them retain information. 44-66% of sales reps are getting zero sales training. 68% of reps are dissatisfied with their sales training (saying it’s low impact or not engaging). 96% of reps spend less than five minutes per day on any type of retentive learning. Bauders said sales leaders need to pay attention to four clear metrics when it comes to sales training: 1) participation rate, 2) learning rate, 3) retention rate, and 4) sustainability rate. To appeal to sales reps, sales leaders must make sure that training is fun, engaging, social, and experiential. In a Sales 3.0 world, it is also imperative to empower reps on how to sell value. Specifically, sales reps need to understand how value is created so they can negotiate and leverage their assets accordingly. Thanks to all our speakers and sponsors for a terrific morning here in Vegas! If you’d like to join us for another event in 2017, save the date now for the Sales 3.0 Conference in Philadelphia on December 4. This entry was posted in Conference Sessions, Conference Speakers, Digital Sales, Sales 3.0 and tagged B2B selling, Sales 3.0, sales organization, strategy. Bookmark the permalink.